Believe it or not, even I hesitate to write about certain topics out of fear of being snapped out of context and have my words twisted. This blog is often laced with references to my own many faults and weaknesses, my own mistakes and misjudgements. But I would always want to avoid discussing my parenting or my children or compare other people’s experiences to my own. For starters, you never really know what a child is really thinking or feeling. Secondly from all children’s point of view what might seem trivial to us is the weight of the world on their small shoulders. Thirdly if my children wanted to be discussed in a blog, they’d have their own. 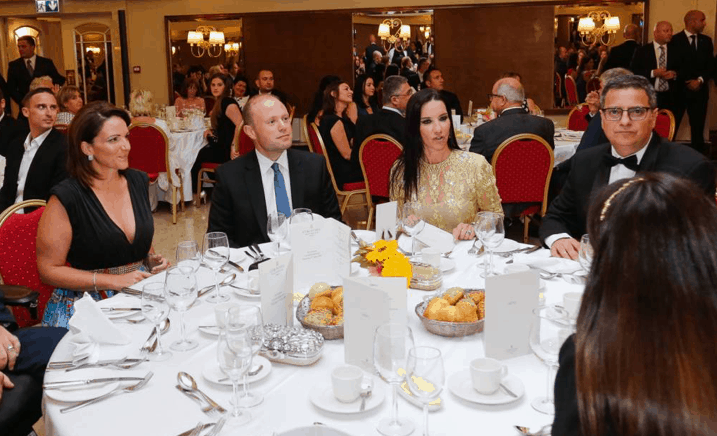 Kristina Chetcuti last Sunday was braver than me and reacted to Michelle Muscat’s tantrum on TV. Michelle Muscat said her children’s school did not protect them enough from bullying. Perhaps she chose the time to do that because she’s considering having them move to other schools now. 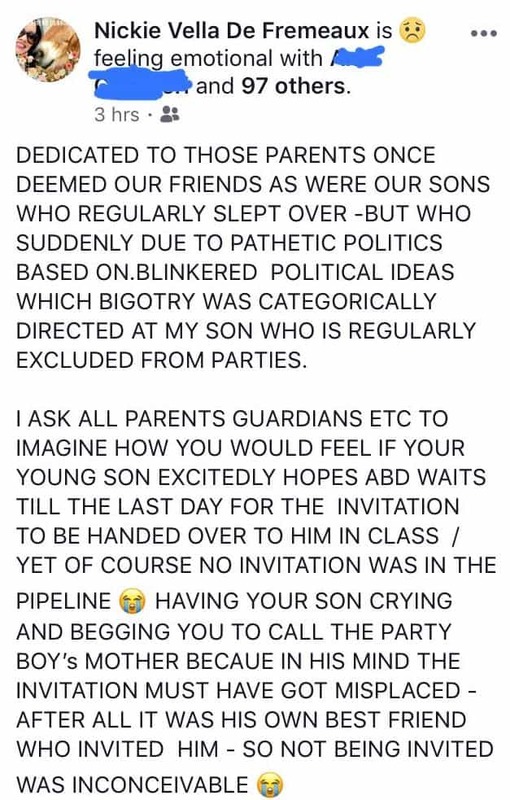 Today Nickie Vella de Fremaux joined the fray with a long post on Facebook complaining her son was left out of party invites by a mate of his. 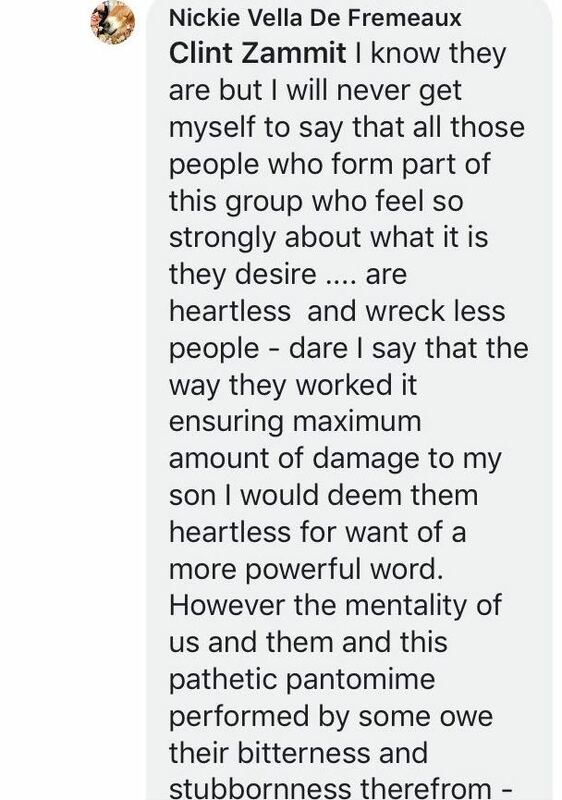 She went on to clarify that the mate’s family lays flowers and candles on the monthly Daphne vigils to make sure everyone understands these are not uncouth Laburisti but nasty Simon Busuttil followers who in combination with conspiring against her children are “fools who refuse to change their minds”. I could write about the inappropriateness of these two women — Michelle Muscat and Nickie Vella de Fremaux — using their children to attract sympathy for themselves. I could write about how they are almost certainly making their children’s lives harder by these public outbursts. I could speak some inanities about the horror of bullying and how it is never acceptable. And that children are innocent of their parents’ choices and should just be left alone. 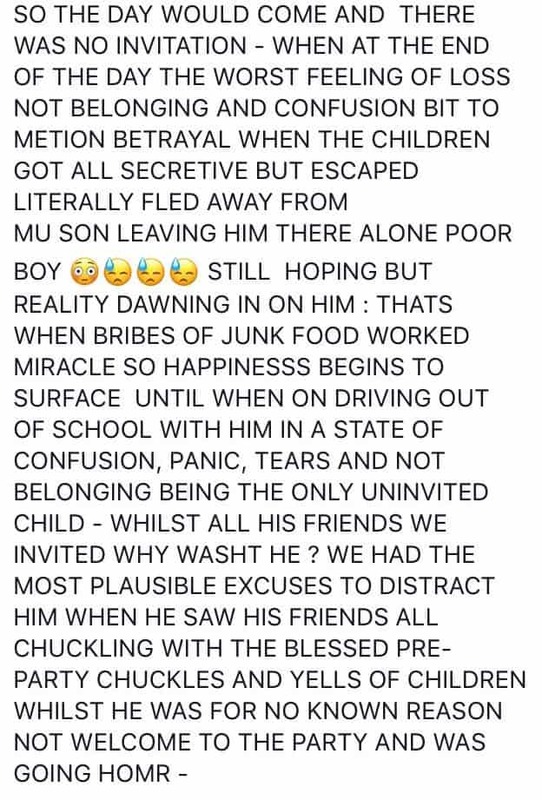 But I know that anything I write will be twisted to mean I hate Michelle Muscat’s children or Nickie Vella de Fremaux’s children. I saw Kristina Chetcuti being gaslit that way and it’s not a pretty sight. I am not going to complain if people call me fat or a failed politician. I’m both and though sometimes I admit I’d rather I wasn’t being called names I deserve, even if I dislike, does not hurt. So much. But the last thing I think I can handle is being called a hater of children, anyone’s and anybody’s. This is the trap laid out for us by the shared strategists working for Michelle Muscat and Nickie Vella de Fremaux. Probably the most effective way of dehumanising opponents is convincing the world of their lack of humanity: and what is more utterly devoid of humanity than hurting children? 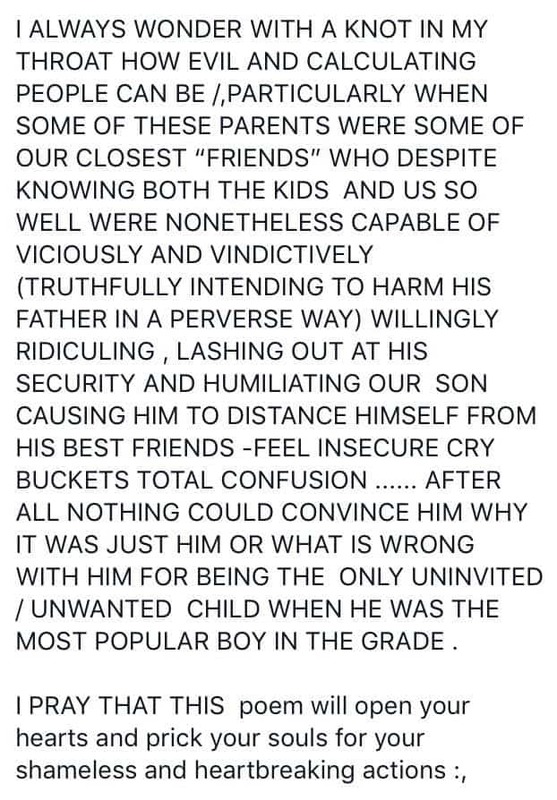 They may lay flowers and candles but they are evil people who hurt children and leave them out of birthday parties making them “victims of their father’s choices” and “annihilate” them in the words of Nickie Vella de Fremaux this morning. I’ll make an exception for once: I love my children too.